- 2 Each of Blue, Green, Pink & White! - Weddings! Special Events! Birthdays! Glow Parties! 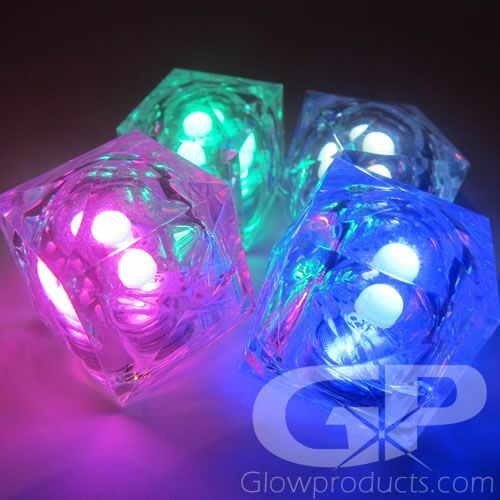 Light Up LED Ice Cubes Assorted Single Color Mix is a pack of lighted drink cubes that includes 8 LED Drink Cubes. 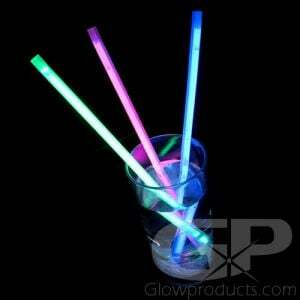 This assorted color pack comes with 2 Blue, 2 Green, 2 Pink and 2 White LED Drink Cubes. 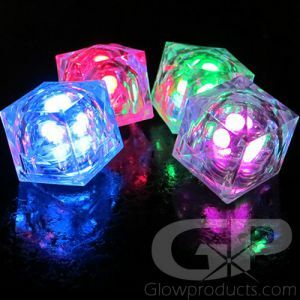 Glowing LED Drink Cubes are a fun way to brighten your drinks and light up your glow party with all kinds of color! 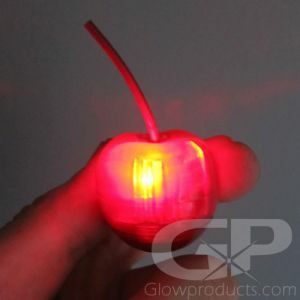 Press the button on the bottom of the lighted ice cube and watch light up with bright glowing color. 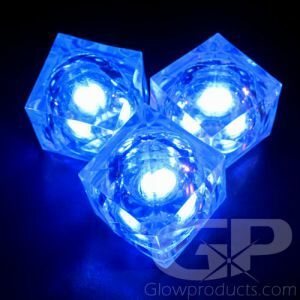 Brighten the Glow Party or Light up the event with these fun and bright light up LED ice cubes! LED Ice Cubes are 100% liquid proof and drink safe. Instructions: All you need to do is press the button on the bottom of the lighted ice cube to turn the cube on and off. Wash with warm water and soap. This is an assorted color mix that includes 2 each of Blue, Green, Pink and White. The price shown is per piece.